I spent a couple of nights in Krabi town after Tonsai. There isn’t a lot to do in the town, but I took a trip to see the Tiger Cave Temple, which is just outside of town. 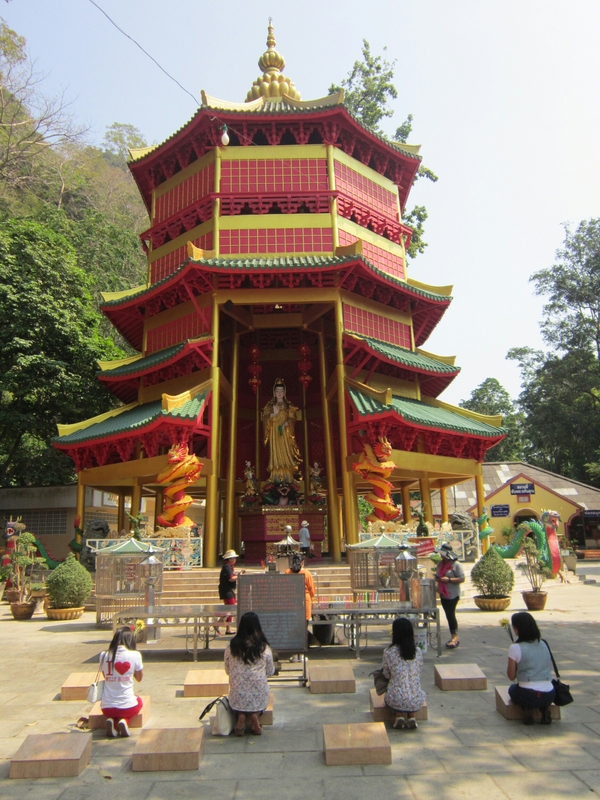 There is a sort of temple complex, including the Tiger Cave itself. The name apparently comes from Tiger footprints in the cave (or that Tigers used to live here….it wasn’t too clear). Anyhow I thought the Chinese Temple here looked really cool. 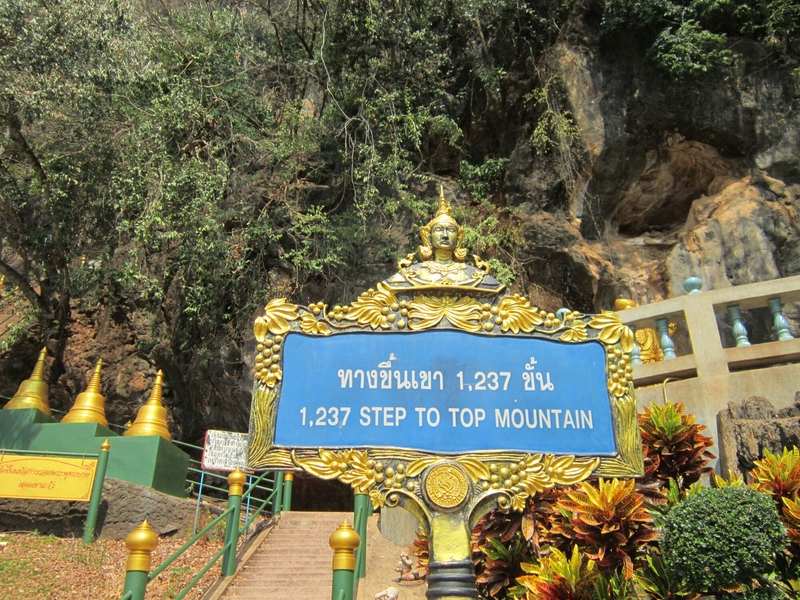 The main reason to visit is to walk the 1237 steps up to the summit where you can see views across the surrounding area. It’s a pretty exhausting climb, especially in the heat! Watch out for monkeys too, they were congregated at the bottom of the stairs when I was there and they are pretty sneaky, I saw one steal a water bottle from a girl! 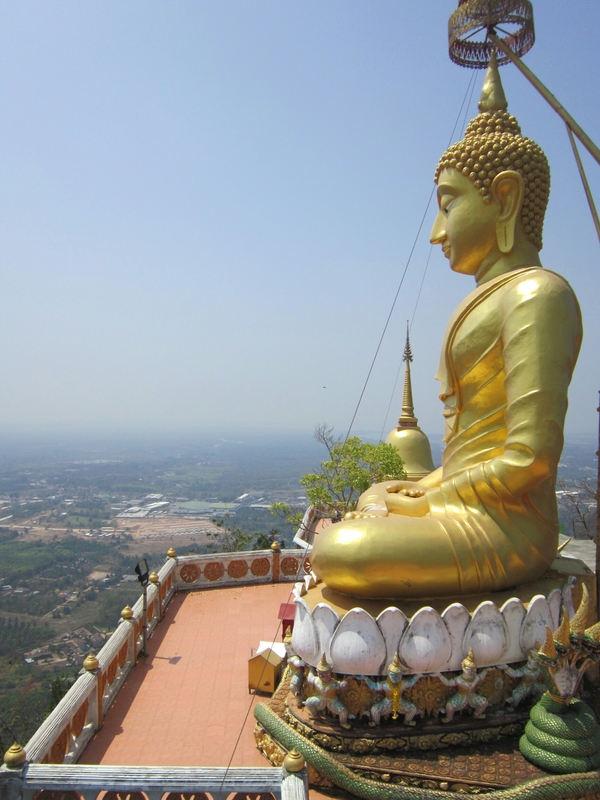 When you reach the top you are rewarded with some great views over the surrounding area, as well as a big Buddha statue and shrine. 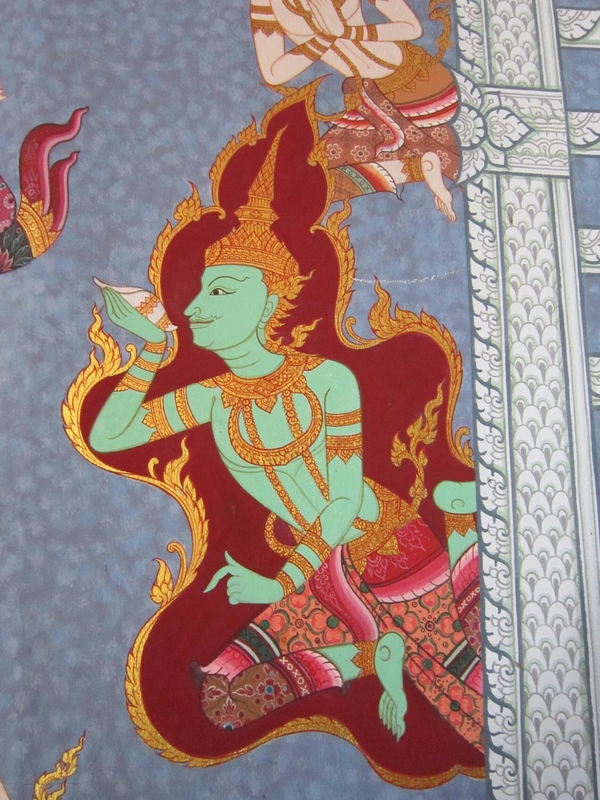 In Krabi town itself Wat Kaew was cool to check out, it’s a white temple and inside it has some awesome Buddhist artwork. Aside from that I took a walk along the river and checked out the park, which was ok but it was hot and I was tired so I didn’t linger long. Food wise I found a Vegetarian restaurant which did rice and 2 toppings for 35 Baht, which was awesome, and extra bits like spring rolls and so forth for cheap too.